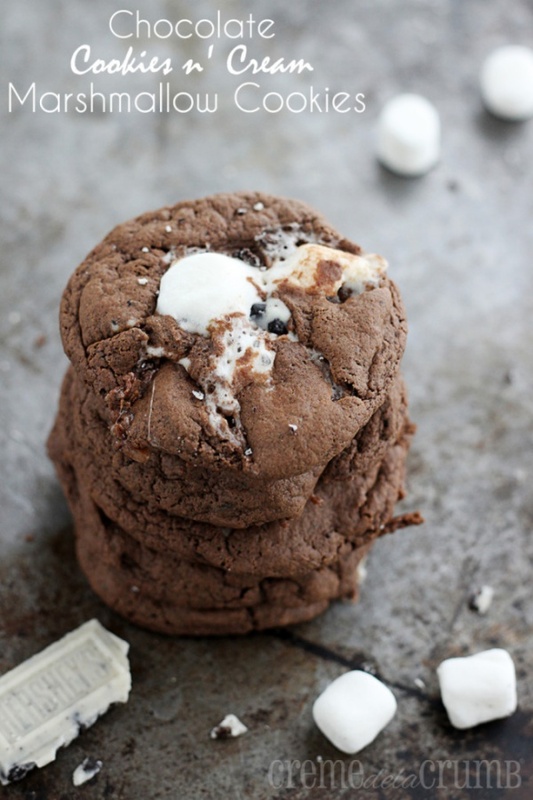 Chocolate Cookies n’ Cream Marshmallow Cookies By Tiffany from Creme De La Crumb. If you’re a fan of cookies and cream, these will be your new favorite Christmas cookies. These chocolate Christmas cookies filled with marshmallow and cookies and cream, will be a hit at any cookie swap this Christmas.